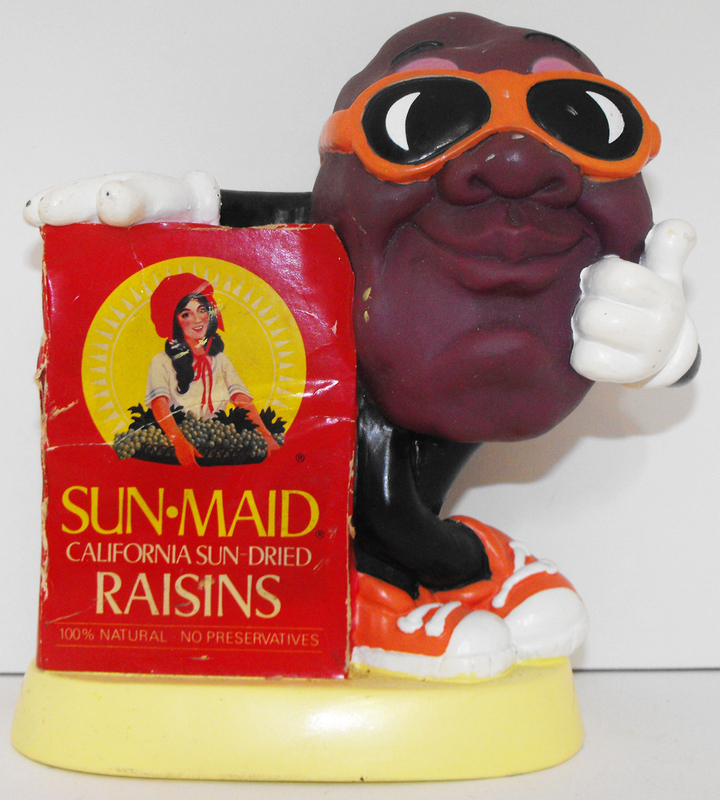 California Raisin Vintage Money Bank. 7 Inches by 5 1/2 inches. Used, Good Condition, some minor wear. Figurine comes loose without any packaging or tag.